Throughout the world, sea anemones occur in most marine environments, from rocky and soft intertidal to deep abyssal substrata, and in many sizes from more than a metre in diameter down to a millimetre or two. Large sea anemones can be seen in both tropical reefs and deep Antarctic waters, but the families represented differ, with many of the deep sea species having strong gelatinous column walls or heavy external coatings and very large mouths while tropical species tend to have soft bodies, smaller mouths and strong defence mechanisms. Not surprisingly, many of the tiny sea anemones remain undescribed or unrecorded for Australia and their presence in ecosystems may go unnoticed. Some sea anemones harbour symbiotic dinoflagellates and small-bodied species are sometimes used as indicators for laboratory study of heat tolerance and other characteristics in these organisms. Sea anemones occupy many habitats and microhabitats on coral reefs. Some favour elevated sites on the reef surface, some extend from recesses within the framework and others burrow within the sandy floor. Sometimes closely related species have obvious differences in habitat preference, for example the two large anemonefish hosts Heteractis magnifica and H. crispa favour exposed high points and protected crevices respectively. 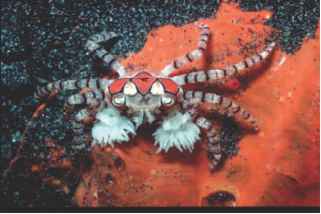 The 'swimming anemone' Boloceroides mcmurrichi lives unattached or very lightly attached, and is observed sporadically on reefs, sometimes in 'swarms' of large numbers of individuals. Many other anemones have the capability of changing location slowly by actions of the pedal disc. Most anemones are highly retractile and expandable, capable of greatly varying the column and tentacle length, closing the oral disc through the actions of a strong marginal sphincter, or even of disappearing from sight completely by withdrawing into the substratum. types). Much remains to be resolved in the classification of sea anemones, and relationships between and among genera and families are not always clear. This is an active research area and new developments can be seen as updates in the 'Hexacorallia of the World' database (see Additional reading). The sea anemone column may have up to three recognisable regions (from the base: scapus, scapulus and capitulum: see Fig. 19.1) and above the column is a flat or domed oral disc bearing the mouth and tentacles in two to many cycles. The mouth is oval or slit-like and has one, two or more siphonoglyphs. The margin of the oral disc is often folded into a groove or fosse. Tentacles in Actiniaria are mostly hollow and simple but may be branched, sometimes elaborately so, or carry structures containing numerous nematocysts. Other projections with various names such as verrucae (adhesive projections from the column), acroragi (projections bearing nematocysts) and marginal spherules (projections without nematocysts) may occur on the margin, in the fosse and on the column. A large group of families (known as 'acontiate' anemones) have nematocyst-bearing structures called acontia (fine hairlike projections from the base of the mesenteries), which can be extruded through various parts of the body, and sometimes through permanent holes in the column called cinclides. 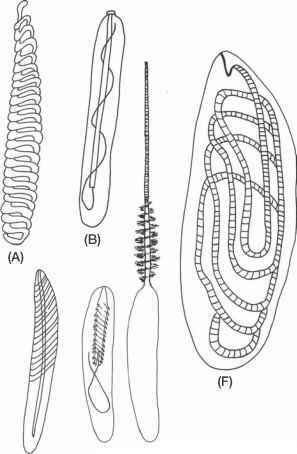 All these external features are involved in the identification process, but internal features such as the structure of the marginal sphincter between the top of the column and the oral disc, the number and extent of mesenteries and the position of gonads on them are all used in the complete description and identification of a species. The mouth leads to an actinopharynx, below which is the gastrovascular cavity. The body cavity is divided by paired mesenteries, some complete (reaching the actinopharynx) and others incomplete, in typical arrangements. Gonads (oocytes and testes) develop from gastrodermal interstitial cells that ripen within the mesenteries. The arrangement of gonads is used in the diagnostic process, with either hermaphroditic (both sexes occurring in each polyp) and gonochoric (sexes separate) states occurring in different species. As might be expected in soft-bodied animals without skeletons, anemones are equipped with a variety of muscles, which serve to maintain body shape, control tentacles and maintain the position of the animal on or in the substratum. Often the presence/absence, position, size and shape of the muscles (especially of the marginal sphincter muscle responsible for closing off the oral disc) are diagnostic. All sea anemones are capable of sexual reproduction and many are also capable of asexual reproduction by division of the polyp and separation of the two resulting polyps. The bulb-tentacle anemone, Antacmaea quadricolor, and the magnificent sea anemone, Heterac-tis magnifica, are well known for forming huge clones of individuals, occupying many square metres, by this method. Other species, most notably the aquarium pest Aiptasia pulchella, produce numerous cloned individuals by a process known as pedal laceration, and the swimming anemone, Boloceroides mcmurrichi, is able to reproduce by shedding tentacles, which then bud a complete new anemone. Sexual reproduction involves the development of eggs and sperm in separate gonads, followed by release of the gametes into the water column for external fertilisation (in hermaphroditic and possibly some gonochoric species) or fertilisation of eggs in situ by sperm released from other individuals and brooding of larvae inside or close to the female parent (in gonochoric species). 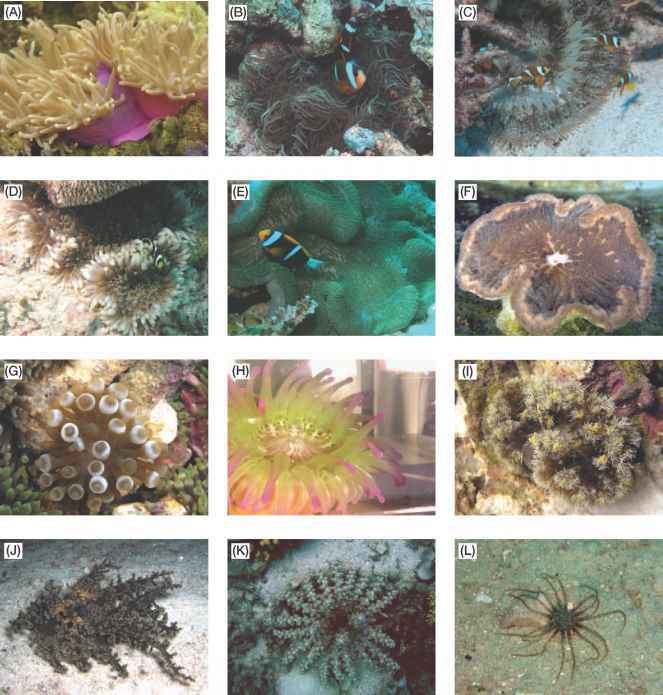 Of about 150 species of anemones known from Australian waters (including Antarctica), around 40 are known so far from the GBR (Figs 19.3-19.7, Box 19.1). This is likely to be a gross underestimate, particularly in regard to smaller and cryptic species and sand-dwelling species, especially those from the family Edwardsiidae, which is under review worldwide at present. 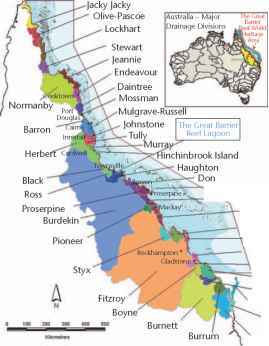 As with corals, many of the anemone species found on the GBR have broad ranges through the Indo-Pacific. 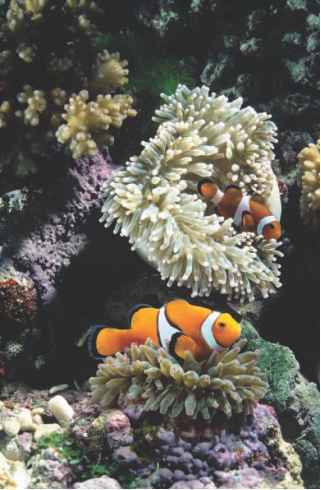 Figure 19.4 Merten's sea anemone Stichodactyla mertensii with the clownfish Amphiprion clarkii. (Photo: P. Muir).